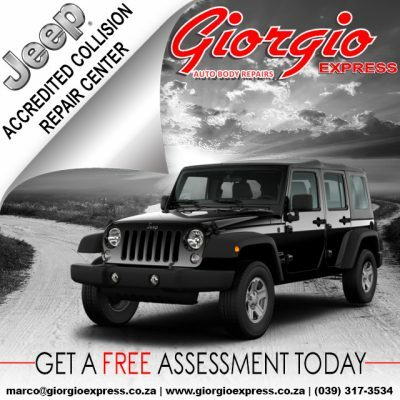 Giorgio Express Auto Body Repairs is an officially approved Jeep collision repair center. We have one of the most sophisticated panel shops in Kwa-Zulu Natal, which is run by the highest skilled staff. Once you have been to Giorgio Express Auto Body Repairs you will leave knowing your car is in the hands of the best in the business. Let us restore your Jeep back to its showroom condition. We have technicians standing by to help you with an obligation free quote now!